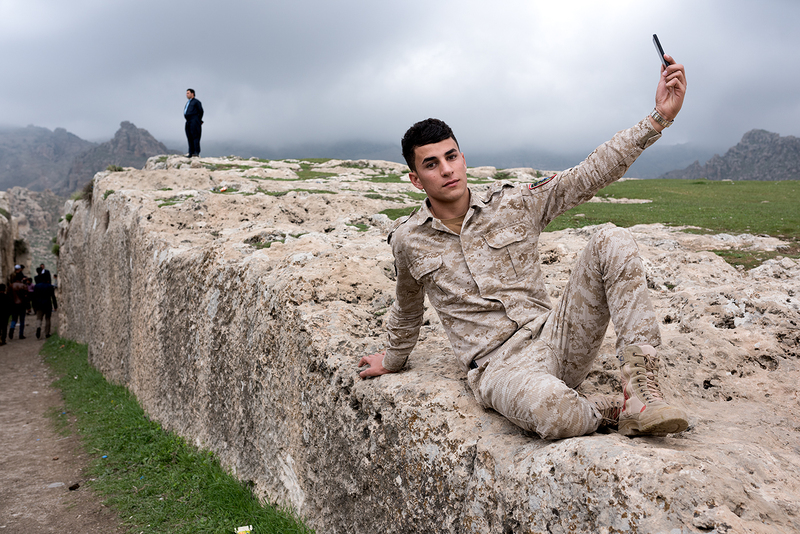 A young member of the Kurdish PDK Peshmerga. The Barzani family military wing for the Federal region of Iraqi Kurdistan. Peshmerga translates as "those who face death". Their existence predates that of the country of Iraq.